It's time to talk about one of our favorite new e juices that is profiled to be a giant mixture of fruit flavors. 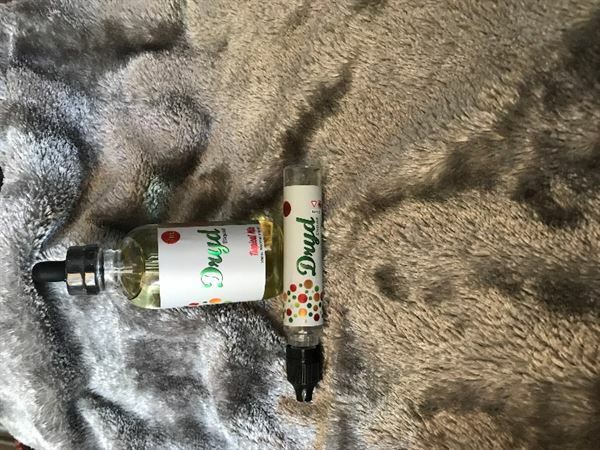 DRYD E Liquid is a new vape juice brandthat is here to take over the scene. As of now they have created two delicious flavors. The most notable one is called Tropical Mix. It was released at the 2016 ECE Vape Convention and has been growing in popularity ever since. It is a pristine mixture of different fruit all blended into one superior vape liquid. When you vape it, you will mostly taste strawberries, blueberries, and a hint of kiwi to top it off. After we vaped a few bottles it was hard to determine all of the different fruit flavoring it contains. On the inhale you will first notice the strawberry flavoring. Then the flavor will shift into a mixed berry blend, followed by sweet kiwi undertones on the exhale. DRYD E Liquid managed to create Tropical Blend with a smooth throat hit. A lot of times strong fruit flavors can come off harsh, with the throat hit being too sharp. This is not the case with Tropical Mix, it has a soothing throat hit that is enjoyable from start to finish. DRYD E Liquid comes from the same guys who brought you Pampa E Juice, which was known to have a stellar throat hit as well. Tropical Mix comes in a 70%/30% VG/PG blend. This means that it not only provides a strong flavor, but it also promotes thick and chunky clouds. We tested it out of both a tank and drip RDA and we were pleased at its performance. Tropical Mix by DRYD E Liquid works great and tastes great out of any device you put it in. It comes in a white box with a simplistic design. On the bottom of the box is a picture of the fruits involved in the flavor profile such as strawberries and kiwi. The brand name is written in the middle of the box in a black cursive font while the e juice flavor name is written under it in red font.The bottle comes wrapped in a label that matches the box. We currently carry Tropical Mix by DRYD E Liquid in 120ML bottles in 0MG, 3MG, and 6MG nicotine levels. You can find other flavors by DRYD in the 120ML E Juice category. If you are looking for a brand new fruit flavor to vape on, then we highly recommend Tropical Mix. You will be happy you gave it a shot!